After weeks of dreariness and multiple session reschedules, Emily and Mark hit the jackpot with the most gorgeous day we’ve seen in forever. 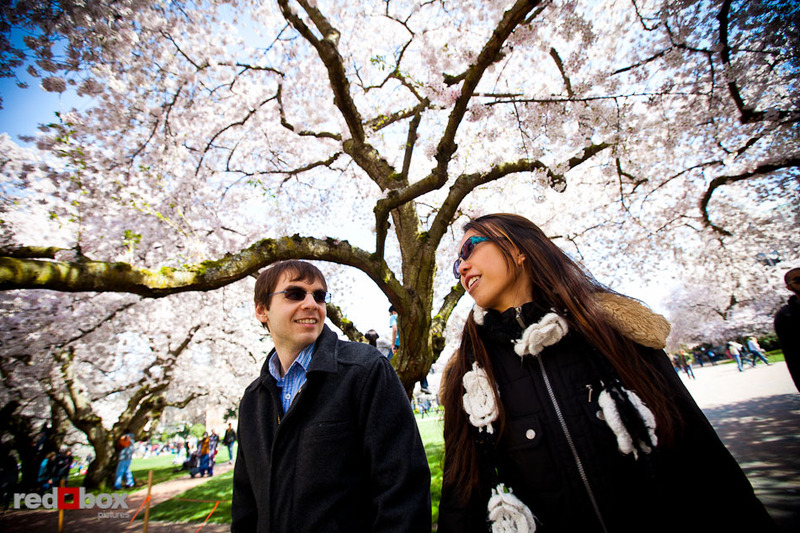 I think every student at the University of Washington was on the Quad with us taking in the beauty of the cherry trees in full bloom. 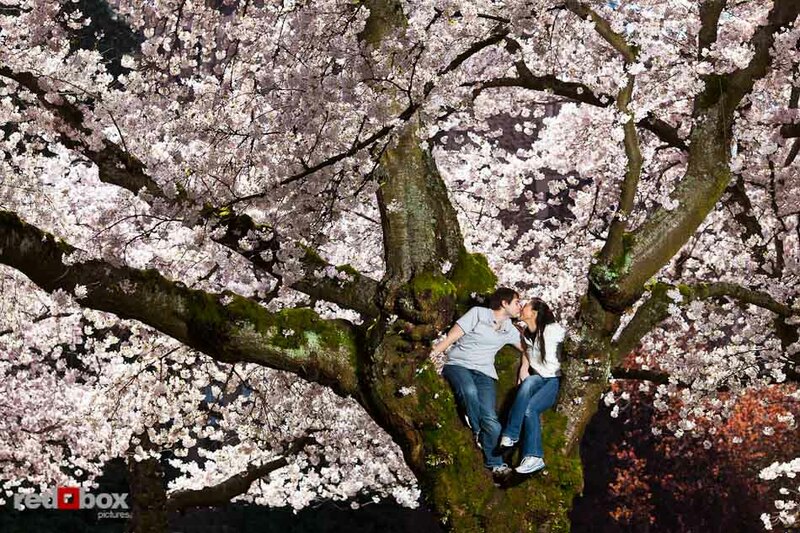 Emily and Mark made the most of their opportunity, and we got some playful, sweet engagement photos. Enjoy! This entry was posted on Monday, April 18th, 2011 at 9:49 am. 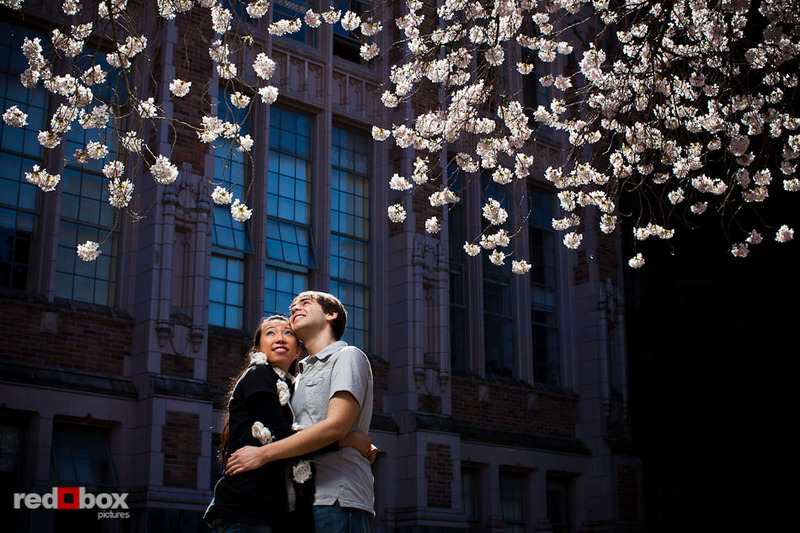 It is filed under ENGAGEMENT and tagged with andy rogers, cherry blossoms, University of Washington, UW. You can follow any responses to this entry through the RSS 2.0 feed. Very cool photos! 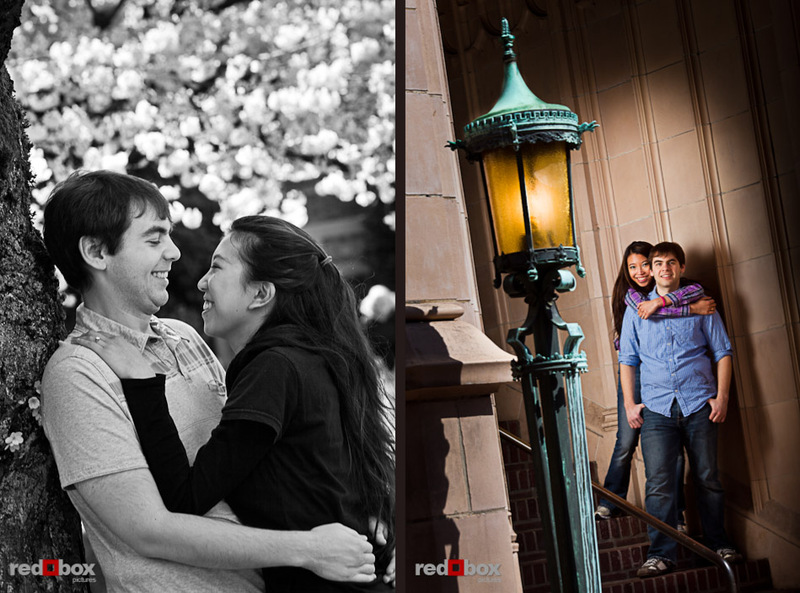 I love how you worked with the lighting, and balanced flash with natural light in some of the shots. Great depth of field on the final shot, even if done post-process.